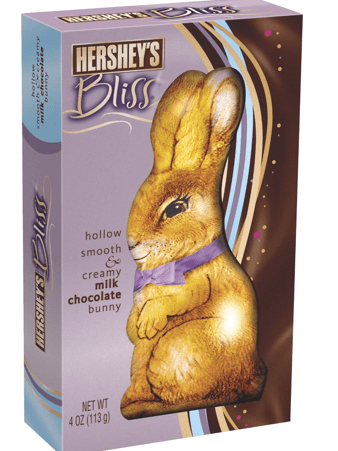 Are you ready to gorge yourself on some chocolate-y Easter goodness? Not so fast, celiac, as apparently the Easter Bunny adds gluten in some of those springtime treats. Phhpt, on you rabbit. 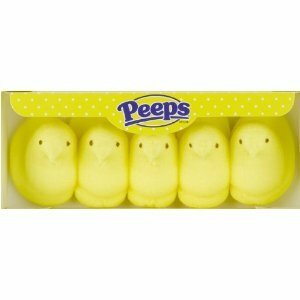 Lucky for you, I’ve done some exhaustive research on what Easter candies are gf, and what ones will send you straight to the loo. You’re welcome. I’ve already talked about this, but it still blows my mind that there’s so much crap in these ever-lasting sugar puffs, yet no gluten. 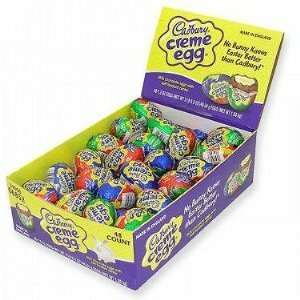 But you take your gullet in your own hands with this one, as my daughter’s friend found one in her closet a year after Easter, ate it, and it was still the exact same texture. That is not right. But it is GF! Yep, G-free. The caramel version as well. Enjoy rotting your teeth out. I know I will. Apparently a lot of people out there are making chocolate bunnies filled with gluten. Stop that! Bliss, however, is all good. Dove dark chocolate bunnies, caramel filled milk chocolate eggs, and milk chocolate truffle eggs. In fact, Dove is often a great bet for commercial chocolate that is gluten-free. *This was cobbled together from confirmed sources, however, as with all processed foods, read the package and/or call the company to be 100% safe. Tags: gluten free grocery shopping, gluten free holiday recipe, gluten free junk food. Bookmark the permalink. Lindt chocolate (milk and dark, not white) lists barley malt extract in the ingredients. None for me, thanks. That’s funny, Heather. I was just at BlogHer and met the Lindt people. One person said she wasn’t sure about the gluten-free situation and the other assured me it was safe. Either way, I took a candy bar and have been debating about whether I should eat it, or give it to my husband. I’m thinking the hubs is going to win that one. I’m too chicken. My reactions last 10 days or more. I totally trust that their chocolate is wheat free, but I don’t think I can bring myself to purposely eat something with barley malt on the label.